I've recently upgraded a few bits and pieces of my Hi-Fi setup and, while some of the discussion has been on other threads, I thought I'd put in one place what I've been up to as well as how much of a difference I feel they made for anyone else who might be thinking along similar lines. A short while after I bought my 7200's (all of four weeks later), Meridian launched their SE speakers. Unfortunately, I couldn't justify the cost of the upgrade given I didn't get a lot of time to listen to the system as it was stuck in our living room. We moved house about a year ago and now have somewhere seperate to listen to music, which meant it made sense to think about upgrading the system to SE speakers and the 818v3. 2) I then upgraded to the 818v3 which was a huge difference (I think the moral here is to do both upgrades at the same time if you can). I can't see the 818v3 upgrade making such a dramatic difference on its own. All of a sudden the sound stage became far more realistic and stable. MQA was even better. 3) I then got stuck down a rabbit hole of mains noise. What started as a 'let's not risk missing anything by not replacing the mains cables' became a project of understanding why this could make a difference and I ended up a long way down this particular hole. First with the Shunyata Triton v2 and Shunyata cables. This easily matches, if not beats the upgrade from the standard speakers and 818v2 to the SE's with the 818v3 upgrade. Seriously, go and listen to one of these (or a Denali, I suspect, would also be pretty damn good). Up until now, lead singers on the virtual stage would shimmer or get lost at times. The v2 fixed this completely and I think the lesson I learnt here is not overlook the mains supply! 4) The Shunyata Triton v3 upgrade a few weeks later made everything sound much more musical, the soundstage now had a sense of depth and the instruments sounded much more life-like. 6) I then upgraded to the Antipodes CX and this was better (but has a really apparent burn-in time), although I don't think I noticed the quite the difference that others might achieve. This maybe because I'd already put a lot of effort into building my own low-noise music server with an 'audiophile JCAT ethernet card. Nonetheless, I think most people would hear a great improvement and it's easier to have Antipodes test upgrades to the machine over time than doing this myself. 7) I also decided to look at the speaker cables. 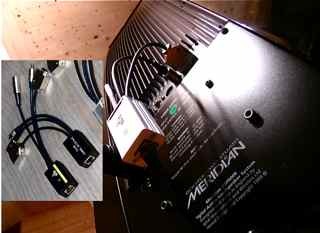 After all, if Meridian feel that using someone else's mains cables wouldn't help, and they did, why not the speaker cables? On the advice of Velcro22 (and this is probably the most difficult one to justify price-wise), I went for the AudioQuest Diamonds (I did look at others, but I could understand how the Diamonds might work, and the alternatives would have paid for an upgrade to DSP8000SE's!). Now we're getting way beyond anything even close to anything I've heard from a Hi-Fi before. Piano's, Guitars, Vocals etc sound so lifelike, it's unreal. At this point, friends who couldn't tell the difference between previous changes are now sat there with the mouths open. 8) Also on the advice of Velcro22 (thanks, mate :-) ), I ordered an AQVOX SE Ethernet Switch. I then went a step further and ordered an SBooster linear power supply feeding an Uptone LPS1.2 to drive the switch. Again, this wasn't the largest difference I've heard to date, but a great improvement on how clearly defined everything is on stage. If I were to pick upgrades in order of priority, I'd likely suggest either looking at the SE/818v3 or the Shunyata power conditioners first (then the other), followed by the AQVOX (at least until we know how good the SoTM and Uptone Audio switches are), followed by the Antipodes and the AudioQuest Diamond's. To round it off, ethernet filters are definitely a good thing. Not sure what I should do next, probably more work on the SotM ethernet side of things, but I thought I'd describe this journey in case it helps someone else. One, perhaps, obvious note is that I did this in the order above and doing this in a different order may have better/less obvious benefits and, as always, YMMV! Have you thought about acoustic room treatment? A great piece Jeremy & very interesting. Reading your journey, I was surprised at how low down the list the Diamond cables came but each step is nicely written. If you aren't too modest, would it be appropriate to add in rough costings for each upgrade? As Syles says, I'm sure some room treatment should be on your list.. GIK Acoustics could be a good place to start. Question... the AQVOX people specifically state not to change the PSU. I noticed you went down a fairly typical route of LPSU etc. What was your thought process here? Did you test? c) Carpet is better than wooden flooring, even wooden flooring with a large rug. Lots of glass windows are your enemy. 1) Marble-like hard surfaces on a fireplace are as horrible as glass, so we now have a 4" thick fibreglass panel cut to the size of the fireplace. I'm sure my wife loves this feature! Thanks Not'arf :-) I was hoping this would be useful, despite what some might argue is a controversial topic. The AudioQuest Diamond cables being added towards the end of this set of upgrades was, in part, because it wasn't until I discovered how other cables could make a difference did I realise this could too. The reason I recommended the speaker cables further down on my list of recommended upgrades was because: a) I feel like I got more bang for the buck from the previous upgrades; and b) I'm not sure you'd hear the improvement I did until the other upgrades are in place. This doesn't make this upgrade any less important, though. ... the AQVOX people specifically state not to change the PSU. What was your thought process here ? a) I didn't want an SMPS close to the system. Whatever anyone claims about being able to filter out the noise, I don't believe it's possible to filter noise in the constraints of a really tiny box, without resorting to inductors and the like*. Inductors, by definition, introduce a varying impedance. Impedance means there is a varying voltage, which creates radio frequency noise on the circuit. I think RF noise is something you want to go to the end of the earth to avoid as much as possible in a digital system (largely because it can play havoc with the ground reference and also because there is a timing signal embedded into the data signal which gets skewed by noise). b) The reviews I saw suggested that using an LPS 1.2 with the AQVOX sounded better - and I could understand this could be the case (have you seen the output voltage ripple from one of these? It's incredibly small). c) To my mind it sounded better, but I should admit I didn't spend more than an hour comparing. I just want the music to sound great and don't want to spend ages comparing one approach against another. If I can afford the entry ticket and it sounds better, then I'm happy to just listen to the music. * Incidentally, for those who are interested, the reason I went for Shunyata rather than go for active mains conditioner was exactly this reason. Shunyata don't use inductors, but instead use very large coils (to give you an idea, each Triton weighs about 20 Kg) and none of the coils use an iron core. This means anything connected to it will just see a very, very low resistance to what is akin to a big power source, but one that nonetheless also filters the power. You obviously can't completely avoid conductors and capacitors, but I feel you should use them [in a Hi-Fi environment] where they are required rather than to fix a problem you've created. What I can say is that you can get the RRP of all of these online - and, for the more expensive items, it's worth keeping an eye out for new or newly new items that come up for sale. I suspect for cables, you can go for older than nearly new (although, I believe the Shunyata Alpha cables are probably too new to find second hand right now). 1) After I upgraded 5000 smileys to 5200SEs in my theater at the end of 2017, I set up a new stereo system with the old equipment in an odd-shaped room with lots of stone and glass. I measured around the listening position with REW software and a calibrated mic to save an .mdat file, which I then sent to Thierry at homeaudiofidelity.com whom I'd heard about on the Roon forums. His room correction filters make a huge difference! Up until now, my only experience had been with MRC which is clearly not in the same league. 2) I asked Bruce Sinclair at CMB, who had sold me the new speakers, about power conditioning. He offered Shunyata, so I bought their PS8, Defender and Venom power cords -as I was very skeptical about this expensive stuff (and don't have Jeremy's budget). Wow! I am now shocked that M recommends against anything beyond their stock power cables. I foolishly took their advice for decades, and sincerely hope this post will save others my chagrin. Good point, I also looked at REW and bought the relevant mic only to find my 818's USB port doesn't work, so I can't play the sample files through it. Meridian say they need it back, but my dealer didn't respond when I tried to book this in during my holiday, so it's going to have to wait another few months until I'm next on holiday. My only concern is that this will break MQA as to use REW on Roon, you need Roon to do the first unfold and then get the Meridian to do the second. And, right now, this process is broken as the 818 can't understand partially unfolded MQA, so everyone's waiting for a fix. I agree with your a, b and c points regarding walls. I treated the rear wall in my living room and it made a huge difference. Not sure if this aligns with your point 3 about not using dampening. Containing the primary reflection from the rear wall in my case resolved almost all the front/back interference which was really annoying me. Only with these fixed could I ever expect to resolve changes to power delivery etc. Thanks for the PSU vs AQV comment. I have several LPSU's so could test if I ever tried one of these units. I measured around the listening position with REW software and a calibrated mic to save an .mdat file, which I then sent to Thierry at homeaudiofidelity.com whom I'd heard about on the Roon forums. His room correction filters make a huge difference! Up until now, my only experience had been with MRC which is clearly not in the same league. Thanks for sharing, shame we still couldn't setup filters for each channels in Roon. I should add two additional thoughts I had about cables. The first is that eBay seems to have several Shunyata Cobra cables at any given point in time and I would imagine these would sound pretty good too. The other is that I discovered, having added the Diamond cables to my speakers, Redbook audio improved significantly to close the gap somewhat between it and MQA. I'm not sure whether that has something to do with how Meridian transmits MQA over Speakerlink, but an interesting (and pleasant) observation. And might even convince me with the benefit of hindsight to prioritise this upgrade sooner. Again, these cables can be found from time to time on eBay. My personal experience with mains (filters, cables and transformers) has led me down the road of a dedicated supply from my board. I’ve installed 6mm 3 core SY flex (has a braid shield but is more workable than swa) and grounded the sheath. Basically giving a 32amp radial to the equipment, I’ve then used 2x 12 way metal Olson non switched blocks and grounded the casing. To me.. it lowered the noise level. Silence was more silent.. if that makes any sense. For anyone with practical skills or who knows an electrician this is a really cost affective and straight forward improvement. Good point. I bought my Triton from eBay (unused in an unopened box) and had the serial number checked with Shunyata. At a minimum, I'd check the seller has a receipt that looks genuine for the item. I put 2 separate radials in last year... one for each DSP. No floors involved... I got them installed outside and drilled through. The SE / 818v3 upgrade was very good for RBCD IIRC. A lift in SQ all round. I agree. This was a monumental upgrade and definitely worth doing. With the rear wall in our previous place, this was absolutely what I found. I suspect doing the same on the side walls in the new place over-damped the room. Similar to my situation, I had an LPS 1.2 hanging around, so no harm in trying (as long as you have the voltage set correctly!). Got to love chipboard floors... I was lucky my house has floor boards. As mentioned though externally routing the cable could be an option and can be made to look very tidy in a lot of circumstances.. I do appreciate there will always be a cost though. Unfortunately, in our case, because of the location of the fuse box and the room, the cable would have to travel a fair distance, so I'm probably not going to be allowed to do this! Thanks for a very full, interesting and brave account of your efforts to improve Meridian performance. I can only agree that all efforts to combat RFI, EMI and vibration are essential. I have invested heavily in Vertex/Quiescent, details of which are here . I have also bought Leading Edge platforms that combat the same issues: see here . There is an interesting comparative review of power conditioners, including Shunyata, in Hi Fi Critic: see here . I forgot to mention that, when I made my comparison of exotic cat 7 cables, this was before any of the above-mentioned Vertex etc products were installed. I now wonder whether my impressions would be different with a dramatically lowered noise floor. What I am about to write will provoke cable sceptics and disappoint those who have invested in Vodkas. However, that is not my intention. I borrowed two runs of Vodka from my dealer and installed them in daisy-chain configuration (necessitated by the length of the cables)for comparison with my home-run configured cat7. My 2 channel system comprises an 808v5 and 8kSEs. I could detect no difference in sound quality. My dealer called in later and also struggled to find any improvement with the Vodkas. At my request my dealer had also arranged to borrow some Chord Anthem cables which he had brought with him. With no sense of anticipation these were swapped into the system. Surprisingly, these delivered a very worthwhile improvement in sound quality. Scale, clarity and focus were all improved. Cable discussions seem to elicit emotional responses from people that do not apply to other areas of hi-fi. This has made many wary of taking cables as seriously as other parts of their system. Some very distinguished members did not change over to SSTP spec cat cables until less than a year ago. Other very distinguished people put their faith in Meridian and bought branded cable "for peace of mind". However, I urge you to borrow some Chord Anthem cables from your dealer. You may be as surprised as I was at the improvement that they bring. You have nothing to lose but a few hours of your time. Can I explain why these cables should bring such a desirable improvement in sound quality? No. I now have a longer length of Anthem and have been able to enjoy the advantage of a home run connection. This offered even more scale, clarity and focus. So, at the very least, if your equipment allows, try a home run configuration if you do not already have that installed. I must express my thanks to Audioquest and Chord for allowing me the luxury of such an extended home trial. And thanks also to Sevenoaks Exeter for making all the arrangements. The quote was originally posted on 26/7/2015 in a thread entitled "RJ45 Cables (Ethernet and SpeakerLink Use Cases)". Yes, yours was one of the reviews I took note of and I seriously considered the Chord cables. The only reason not to go down this path was that they are *very* pricey at the top of the range and they didn't stock cables in their library of the next cable down (the Sarum T, which was also pretty pricey). The next best option seemed to be the Diamond cables as I felt they were trying to achieve a similar end result as the ChordMusic cable, but in a different way, and at a price I could afford. I would agree that I believe the differences cables have on SQ become more pronounced the better the rest of the system is. Certainly, going down the Shunyata Triton route has had a huge impact (as did the SE speaker upgrades combined with the 818v3). Edited by Jeremy A-H; 2018-10-04 02:58. By way of an update, I’ve been exceptionally lucky and managed to lay my hands on a second-hand Typhon to keep my Triton company during the cold winter nights. The Typhon was something that I had planned to do next year, but it seems the Typhon QR upgrade essentially gives you a brand new unit as something like the faceplate is the only part that remains, and even that can be replaced if you ask for it. One come up on eBay and I couldn’t resist... mostly because I don’t think they’ll be many original boxes for sale (Shunyata had originally said they couldn’t be upgraded but have since changed their mind). Well, I've been a bit quiet on this topic as I suspected there may be something wrong with my (I hasten to add second hand) Typhon, although Shunyata say it needs about 150 hours of music to settle in, so I think I'll need to leave trying that out for a business trip next week and leave it running while I'm in Germany. I've read reviews saying the same thing, so it might be a matter of being patient... or being doubly patient and waiting to upgrade to the Typhon QR, which is the ultimate goal (and an upgrade that I've been told is very worthwhile). If it is second hand why might it need any hours to settle in? Do they have any comment on that ? I didn’t ask that question, but I would imagine it would be to do with the polarization/charging of the material used inside the NIC’s after the unit has been disconnected for some time. A quick update on the Typhon: Following my conversation with the (I must say, ever-helpful) Shunyata team, I plugged the Typhon directly into the mains socket next to the HiFi and this has made an incredible difference. I've been playing the Queen Bohemian Rhapsody album and the speakers pretty much disappear with the staging extremely well graduated from left to right. At a guess, I think the issue with the original design of the Typhon is that it takes a long time to settle in as it actually requires noise on the mains to do so and much of the noise is already filtered out by the Triton. Plugging the Typhon directly into the wall socket resolves this issue at a stroke (bear in mind the new Typhon QR works completely differently in this regard as it sits before the Triton). PS As a short update, the Typhon has now had two days back in my system and is getting better by the day. The soundstage now has real depth - so much so, when standing listening to a live recording, it can feel like I'm overlooking the stage from a balcony position and can hear where instruments are, not just left to right, but also where they are front to back on the stage. And it all sounds very, very musical. So my view is now that, second hand, these are tremendous value for money - once you have them run in. It'll be interesting to see what happens if I connect it back to the Triton after it has had 150 hours to settle, although I must admit I'm slightly nervous about making changes to a system that is working so well. I checked and it turns out I didn’t. I had a look today and discovered that, although Google showed a match, I missed that it was actually a completely different album that got ordered. Lesson to myself is not to trust Google with the ability they give advertisers to copy your search string into the search results and prefix this with the word ‘buy’. That said, there is a higher res version available in the US, but not MQA. If only to show that not all sound improvements need to cost silly money, I thought I'd write up a recent discovery which, while more of an emergency measure, demonstrated how even low-cost power conditioning might improve the SQ of our Meridian systems. By way of some background, it seems in December one of our neighbours put in PowerLine adaptors to get around the networking issues inherent in new-build properties; the signal from which not even the Shunyata kit could eliminate and the sound stage completely collapsed. After some reading up on the topic, the quickest fix turned out to repurpose a Tacima mains conditioner sitting in my study (costing all of £35 from Amazon) to feed the processor as a stop-gap measure. The sound stage not only went back to how it was, but I think actually may have improved the focus (although, perhaps not all areas of the performance). I'd recommend against using this solution for DSP speakers, though. I experimented with this and the sound ended up feeling really clinical, losing any sense of realism. Definitely worth considering for a processor. For the price, I'm not sure it can be beaten. to feed the processor as a stop-gap measure. Do you mean just for the 818? Is it this one [url=Tacima 6 Way Mains Conditioner and Radio Frequency Interference Filter https://www.amazon.co.uk/dp/B000PS5700/ref=cm_sw_r_cp_tai_eiLkCbNC90CD1]amazon link[/url] ? Edited by Greg Wright; 2018-12-31 17:32. When you say one of your neighbours, do you mean one either side or further away? I should have been clearer that this only an assumption based on a conversation I had with a neighbour about how they could extend their Wifi, but I didn't go back and ask whether they had decided on this approach as it might look like I was complaining when I'm not. That said, whatever is causing this is recent (but pre-Christmas lighting), is likely to be pretty close by and on the same phase. I haven't come across anything (even heavy duty three-phase water pumps) creating this kind of issue, so a PowerLine adaptor is my best guess. It's also the easiest solution for most people who need to extend their network through walls that reflect all wifi signals. In our case, the Sky box couldn't see the Wifi extender six meters away (but the other side of the wall), so we ended up wiring pretty much every room in the house with ethernet sockets to get around this. This really doesn't sound right to me. Many people run electrical items that create noise such as Powerline adaptors and switched PSU's, but do not suffer/report a sound stage completely collapsing, let alone when some (more devoted listeners around us) run kit to clean up power such as the Shunyata kit that you mention. A signal from a neighbouring powerline adaptor, certainly in a typical UK street, would likely have travelled 100 yards or more, past several other houses on a different phase, through several meters other devices all screwing with the signal and thats even before taking into account time of day differences such as voltage, frequency, environmental issues, health and just plain old psychoacoustics. Personally, I would say that the root cause is closer to home, and possibly worth getting the Shunyta guys in with their meter to check your Shunyta kit is working properly and maybe even home in on the source of the problem. Need to follow the evidence. Well, an oscilloscope in FFT mode and judicious use of the isolators in the fuse box should indicate whether it is internal or external. I can also compare the signal before and after the Shunyata equipment. Please try and track this source of noise. We're intrigued. I've dabbled with the iFi AC purifier which seems pretty good at limiting certain trouble frequencies. With outlet placement detailed in their guide you can isolate the troublemaker. Not sure if those interfere with any powerline network extenders though. It's all very interesting this..
Edit: Saw now that you have the Triton v3 as I do. The backplane of the triton is if I'm not mistaken split between the top 4 outlets and the bottom 4 outlets on EU schuko models atleast. You can therefore isolate pretty good between those. Try isolating your 818/861 to be alone on the top or bottom 4 outlets. If this doesn't isolate well enough put an iFi AC purifier next to the 818/861 to push the noise down again with upto -40dB for certain frequencies. You can use the split backplane of the triton v3 to put all SMPS equipment (UHD722/ATV4K/etc) on the bottom 4 outlets and LPS (818/861/DSP Speakers) equipment on the top 4 outlets for example. If you find the real trouble maker (powerline network extender?) I would surround it with two iFi AC purifiers on a regular powerstrip as they send out an inverted cancellation signal to block that noise but now it can be contained on that single powerstrip before hitting any house wiring circuit. PS. After you've found the offender please go ahead and upgrade to the Typhon QR which have gotten rave reviews apparently. DS. If it turns out to be an internal issue, I will definitely try this. Before this issue, I had two iFi's, one either side of the Triton's wall socket. I still suspect a PowerLine, though. I have read that the PowerLines push noise beyond 430MHz on to earth/live & neutral. If one considers the drop in signal at 1MHz (at least for ADSL lines) is only around 0.6dB per 30 metres of cable, there would seem a good opportunity for this signal to propagate from a neighbour. There is also the wildcard of Sky Q boxes containing PowerLine hardware (but, nowadays, Sky have disabled it because it caused too many complaints). There is always the possibility that one of our Sky Q boxes is playing up and causing this problem. PS Please go ahead and upgrade to the Typhon QR which have gotten rave reviews apparently. DS. Edited by Jeremy A-H; 2019-01-07 02:33. A quick update (for those that are waiting on me) to say that the new year has been busy enough to prevent me finding time to wander around the house with an oscilloscope to figure out what is going on (it's not something you want to rush either, with mains voltages involved). My plan, though, is to put either a PS Audio P5 or P12 on the Meridian processor, which comes with a kind of dumbed-down oscilloscope (it won't tell me the frequency bands the noise is in, but it will give me the sine wave and the THD figure), which might give a reasonable idea of where the noise is coming from. The question now is whether to get a P12, which is meant to be miles better, or a P5, which is miles cheaper (and leaves more budget to change to a DPC-6, if an audition shows that works as well). Edit: I discovered that having any of the bathroom extractor fans on will also completely destroy the sound stage, despite being on different circuits. In this case, nothing I currently have in place will fix this, but it indicates that it doesn't need to be a PowerLine adaptor to screw things up. Fortunately, we don't have a huge need to run these fans. Edited by Jeremy A-H; 2019-01-23 21:50. I have been following this thread of your trailblazing into cleaning up mains signal in your house/within your system, with great interest. I was intrigued by your rating of the Shunyata Triton being so high up on the list of gains made. After seeing videos of the Triton reducing mains noise from 100 to 0.1 on a noise analyser and another showing that the Venom uk6 taking it down to 0.2, I thought I'd dip my toe into the water and purchase a UK6 power distributer (bought 2nd hand off eBay). WELL, I received the UK6 last night and with great haste went into my music room. Firstly I got re-acquainted with a few track and then replaced power leads of 818 + 8000's from my current fairly high-end power distributor, into the UK6. Then a few minutes later.......WOW. Sitting in the dark, my speakers just seemed to disappear. I now have a soundstage like I have never heard before. Pinpoint accuracy of each note with amazing clarity, precise location of vocals with not only better width separation (now past the walls of the room) but also more front to back depth(The guitar played to the left rear on Dire Straits 'Your Latest Trick' just got about 5metres further back). Decays that end with more realism. The noise floor has also dropped like nothing I have heard before. I think the 8k's are now showing what they are really capable of....this seems to allow more space around singers/instruments, helping create an added sense of what the actual space was like when recorded (or how the producer wanted it to sound). To my ears, this £750 purchase by far outweighs the gains I think my system made going from 818v2/8000 to 818v3/8000SE....its that big a change. When listening to tracks from artists such as Norah Jones, where the setting should be more intimate, I have heard hi-end revealing systems that make it sound more like she is playing at Wembley. With the UK6, it kept the intimacy but just made it several levels more realistic. Amazing. Thank you very much for your reviews and more specific, the break down of order of best gains made. This is what pointed me in this direction. I had already planned to listen to some high-end Nordost mains cables this Friday, I'm now thinking I have to try to get a demo of some Shunyata cables. I can't really see how its going to get that much better from what I have now......but then again I wasn't expecting such a massive level of change with the power distributor. I'm hoping that the level of change is not great enough to warrant the outlay......lets see. Thanks Again and please keep us updated with your findings. Music Room: 818v3, DSP8000SE (SpeakerLink cables), iPad2 (Core Control). Sonos Bridge + S5's around the house pointing to Sooloos library. Wish List: Room Correction with 818. Shunyata should be able to arrange some cables for you to demo via one of their dealers (I bought mine from KJ West One). They get audibly better the higher up you go, but the Sigma cables are seriously expensive (try them at your peril!). I'm inclined to agree that ethernet is something worth doing once you have the mains sorted to your satisfaction - and I wouldn't rule out changing the SpeakerLink cables either. Let us know how you get on... the Meridian's are seemingly capable of so much more than they deliver out of the box. Congratulations Jeremy and Darren in pushing ever onwards with improving your infrastructure and hence your sound quality. My starting point had been a disappointment with the imaging abilities of the 8kSEs and also with a lack of presence. The steps I have taken which I outlined above have addressed that issue but I have discovered that there was further to go. Out of idle curiosity, but with no sense of expectation, I decided to try a tweak which I had read about long ago, so long ago that I do not remember where the idea originated. I bought some foam water-pipe lagging (insulation) of generous diameter and cut it into short lengths. These I wrapped around my SL cables and power cords at regular intervals so that each cable no longer touched the ground, the equipment or other cables. The improvement in sound quality that resulted was significant, most notably an increase in clarity and presence. If I was starting again I think I would try this first before making any expensive investments in infrastructure. The whole exercise only cost a few pounds, dramatically less than exotic cable risers. I realise that this description makes me sound as though I am suffering from an acute case of audiophilia nervosa! Interesting thought, if Shunyata sell floor-lifters, there is probably a reason. This could be an inexpensive way to try this out. These will do the same job, look nice and won’t break the bank. Isn't the idea of the supports to absorb vibration? Would a wooden support make a huge difference? I must admit, I'm still wondering how much micro-vibrations matter, although I completely accept that all sorts of things can make a difference. Even things that, at first glance, shouldn't! I agree. And pipe lagging can be applied in places where ordinary cable lifters like the Russ Andrews couldn't be applied. The objective is to eliminate direct contact between cables and everything else such as other cables, racks and walls. They're cheap enough to give them a listen and find out. Russ has a slightly different philosophy about system supports than most. However, in my experience, his approach works very well in practice, regardless of whichever theory one wishes to subscribe to. I believe the normal 60-day money back guarantee applies, so you're not taking much of a risk in trying. All interesting stuff. Any suggestions about the science involved here? My science lessons were a long time ago, however I think the physics is likely that electricity flowing through a conductor creates a magnetic and electromagnetic field. Conversely, a changing magnetic or electromagnetic field (even if it’s the conductor that is vibrating) generates electricity which is superimposed on the original signal and becomes noise. I often wonder what percentage of audiophiles who obsess on the minuscule, bother with things like room treatment? For a view of the science see here and here . Both links are sound engineering, albeit both based in the analogue domain. I'm not doubting these things exist and can be shown to affect the signal, it's just the differences would be so minimal in the digital channel and it's carrier (speakerlink cable) to make it insignificant in the larger picture. If we were talking a valve based moving coil phono cartridge amplifier, microphonics and EMF/RFI noise are extremely relevant, in a digital cable, not really an issue. 1. Many components that make up our equipment vibrate when an electrical charge is passed through them. This degrades performance in itself. Some of those components that are linked together (eg part of a circuit or wired together) will be microphonic, thereby increasing the degradation. This gets passed around the complete system by our cables causing further damage and microphonic effects. 2. Vibration can be picked up from floors, walls, racks etc and transmitted by all our cables and cords. This may not necessarily have a direct impact on the signals or charges passing through those cables and cords but will be transmitted to our electrical equipment where it will cause similar damage to that outlined above. I have obviously over-simplified but I hope it gives some idea as to why treating cords and cables with lagging might prove beneficial. I certainly found it so and for an expenditure of less than £10. Are a digital channel, so any noise that gets through is non analogous and rejected. Minuscule assigns a value to the relative importance of room treatment implying it outweighs other changes, but this might depend on the system, room, furnishing, and many other factors, including (perhaps most importantly) which change the listener finds more satisfying. Over 25 years of experimentation with such things has aligned my personal view with Bob Stuart - that above a certain level of performance everything makes a difference, including cabling (even digital, as his post suggests), supports, room treatment, etc., etc. Funny you should say that as when I asked him about quality/purity of power supply (factory tour) he said that all that was done inside the speaker. Microphony, EMI and RFI are not new ideas. You’d hope Bob Stuart was aware of them when deciding what power cable to use. Re Science, the question was really a scientific explanation of how a power lead can reduce these effects, and if these effects are actually audible in the first place. Shielded cable - JSSG? That’s a two bob fix. There’s plenty of science going on, clocking, purity of power on the DC side (what the AC becomes...) but it’s more about grounding, ripple, isolation etc rather than a conductor wire. Always interested in the science especially if it’s post Bob science, having developed a £40k pair of speakers and forgotten all about the cable! The effect of analogue noise on a digital interconnect in a well designed system is minuscule to the point of irrelevance. I infer that he means the analogue side, where noise that gets onto the signal will become part of the signal's waveform and is either in the audible range (easily heard) or can effect the circuits in a deleterious way (intermodulation distortion for example). Correct, once noise is in there, it will always be there; in the analogue world, this is why gain structure is so important, maximum gain on the first stage so any further noise isn't amplified and ideally attenuated down the line. Even in the analogue world, these effects should be irrelevant with good engineering, but noise due to vibration on a digital interconnect is so far away from the signal it should be completely rejected. If the cable is broken, has a dry joint etc. this would make difference. If anyone likes to experiment, make (or buy) a long digital SPDIF cable and insert it into your system looped out to your listening position, whilst listening to music, grab the cable and give it a good shake. Let me know the results. With this in mind, would you also say isolating a hi-fi cabinet from vibration is unlikely to provide benefits in an all digital system? Depends what all digital means, digital sources with DACs and analogue amplifiers, or is it digital all the way to the 'speaker? My experience is that decoupling and/or coupling make a difference with turntables (huge), CD players (not a lot), phono pre-amps (a bit, microphonic if you tap them, but that's not normal operation) and loudspeakers. I've never used a valve amplifier, but they are very microphonic so I'd imagine supports are important. Anything analogue can be subject to microphony, but with solid state electronics it shouldn't be an issue, if it was such a big deal, all active loudspeakers (including DSP) with the electronics built in would be terrible and would not be made. The FUD associated with after market cables plays on audiophiles sensibilities, that said, taken as a hobby, it gives them something to do. Seen through your reality tunnel, and assuming a certain type of audiophile. However, removing your gloss and assuming another type of audiophile, this might equally appear a manifestation of curiosity rather than FUD. Individual listeners can decide whether any given difference is relevant or not, no matter how small it might seem, and assign it a value in their own system, room, etc. I infer that he means the analogue side, where noise that gets onto the signal will become part of the signal's waveform and is either in the audible range (easily heard) or can effect the circuits in a deleterious way (inter-modulation distortion for example). "In my experience the Sooloos network endpoints will always give a better sound than a USB connection, especially from a PC or QNAP. At this level of performance everything makes a difference, including cables, router etc." Can you say what leads you to infer from this he means analogue cables? Bob also decided some Cat 5 cables performed better than others and even put a choke on the original 808 cables. Both of these things fly in the face of the notion that £40k means you cannot improve things with snakeoil type audiophile tricks. If it works for an individual then that is all that counts. Discoveries about isolation of signal cable took us from ID40 to ID41. But that’s about signal, this is about a mains cable, so not flying in the face. They didn’t and haven’t changed the power cables even on SEs. So it’s either something they are oblivious to at this stage, even though it’s been talked about for many years or they’ve concluded it doesn’t give an improvement (fonal change maybe). If it works for the individual then that may be all that counts to them but others want to know if it’s real or illusory. John Swenson explains the science, cause an effect. It makes sense and that checks out with what people hear. Lots of discussion about DC, not so much mains cable. Balanced power supplies - that sounds interesting. if you want to get into ‘reality tunnels’, then expectation bias should be right up your street. fair enough, it just seems to me that worrying about vibration on a digital interconnect should be very low on the list of possible improvements and I’m quite confident that hardly any audiophiles have effective acoustic treatment that would actually make an easily demonstrated difference. Can anyone of you who hear a difference due to vibration in a digital cable give me an explanation of how the low frequency air bourne / foot fall vibrations in the digital cable alone manifest themselves on the converted analogue signal? dB levels would be nice to know. Of course. It's another area in which I find Bob Stuart's approach enlightening. He is highly versed in psychoacoustics and therefore completely aware of expectation bias, etc. He wrote an intriguing article about this kind of thing years ago in The Absolute Sound and I posted a link at the time. I'll repost now, as it seems relevant to much of the recent discussions, and it's fascinating anyway in terms of measurement vs. listening, etc., when Meridian go about designing their products Bob Stuart TAS interview. It's hard to say, really in terms of how many. 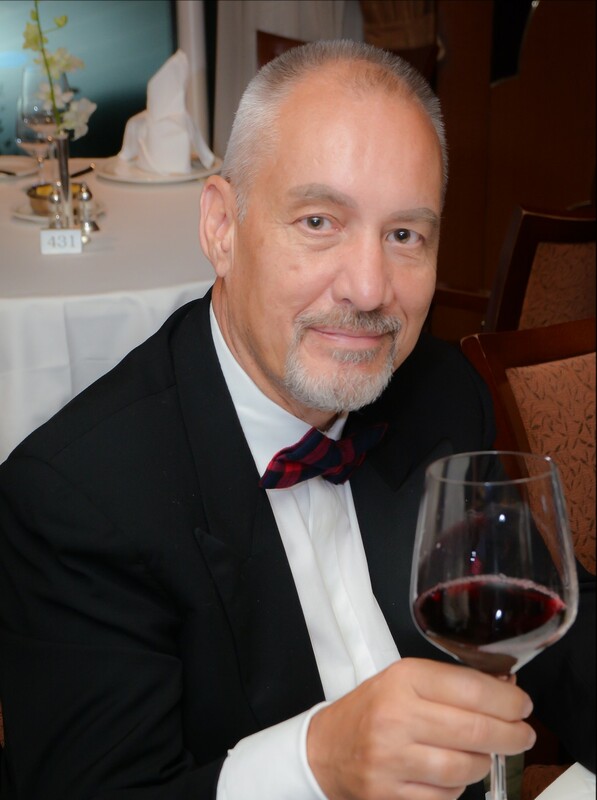 My own perception is that interest in room treatment has been growing for a few years now, and I believe that's a beneficial thing. However, my personal experience is it hasn't necessarily outweighed other changes which one might assume would be less influential. I can't speak for others, though. I’m also a Bob Stuart fan, I was surprised when he dismissed the importance of power cables at the meeting after the factory tour (or was it before?). However, I took him at his word – that all the important work on power supply is “done inside”. I was very specific about the question, his answer was unequivocal. It wasn’t that long ago, certainly post Anniversaries. Signal cables or obviously different but what goes into a DSP, power, though a cable, hasn’t changed much, neither has the science. I once asked Mark Koval the effects of my use of power surge suppressors/conditioners(I use Furman) and having a dedicated sub panel for the outlets to my main system in NC. In short he thought both are/can be beneficial. He added that 8000s are designed to be just plugged into a wall outlet. His final comment was in effect that at the price of 8Ks, M engineered them to take care of most power pollution problems introduced, to ensure the buyer gets a very large amount of the potential of the flagship product. I don’t find that inconsistent with Bob’s quote in the prior post about that(at a certain level of fidelity), everything matters to some degree. Edited by Mtns; 2019-02-13 20:08. Not having seen something happen (or, alternatively, not understanding why something happens) doesn't mean it doesn't happen. Using your example about SpeakerLink balanced and shielded cabling eliminating noise, the bit that wasn't mentioned is that all cables exhibit a resistance, a capacitance and an inductance. This impedance will invariably distort an AC signal, whether balanced, shielded, or sitting in zero gravity (which would be far too problematic to seriously consider, even if it did work). Digital audio cables transmit two signal components: the audio data (which can be pretty easily read back without errors) and a timing signal, which for all intense purposes is analogue. Unfortunately, any distortion to the latter leads to distortion in both the amplitude and time domains. What is happening is that the cable alters the signal so that the data arrives with all the nice sharp edges of the transmitted signal rounded off (as the data and timing signals are combined, this also has an impact on the timing), making it difficult for the system to figure out when each timing signal/beat really starts (think of it as a kind of metronome). As I understand it, the theory behind say the AudioQuest cables I use is that they reduce the capacitance 'seen' by the equipment, biasing the dielectric keeping it constantly charged. Does it make a difference? To my ears, yes. Is it worth what it costs? Only the person buying the cables can make that decision. What can't be said is that cables don't change the signal, otherwise everyone could have 100Mbps VDSL regardless of how far they lived from the fibre cabinet. I could talk about how mains power running to the house via decent, thick cables provided by the utility company can be decimated by amplifiers drawing 40+amps of power in tiny high-frequency chunks through thinner mains cables because of the skin effect, but it's getting late. Ultimately, I guess I was trying to make the point that there is often more to this story than meets the eye. Digital audio cables transmit two signal components: the audio data (which can be pretty easily read back without errors) and a timing signal, which for all intense purposes is analogue. Um no, completely incorrect. For SPDIF and SpeakerLink (which uses a form of SPDIF), there is a single, ideally square-wave, binary signal with no predefined clock rate and biphase marking to indicate the bit transitions. What science are you referring to? And please see my earlier questions that I posted to you. Jonn Swenson of UpTone Audio, fairly well regarded. I would have thought it fairly easy to devise a test to check if vibrating a cable caused any change in the sound coming out of the 'speakers. Put the 'speakers in one room, the equipment and/or cables in another isolated room and then vibrate the cables either physically or by subjecting them to local sound. An objective answer should result. Depending on the result, further investigation might, or might not, be necessary. Perhaps I should confess to having a rational attitude in these matters. Naim use mechanically decoupled mains leads. They also enclose components in a faraday cage. And they mechanically isolate circuits on internal suspension. So they must think the effort is worthwhile on their top-of-the -range products. That's not my experience with Naim amps. The ones that I owned (up to a NAP300) contained a large toroidal transformer that vibrated (hummed) pretty loudly. One of the reasons I got rid of my Naim kit. I find it very hard to believe that tiny vibrations within cables will have any audible repercussions unless you using loosely fitting connections. Main system - Sources (Kodi-HTPC, Vero 4k, FireTV, Sat) into Trinnov Altitude 32 (8-16) (+Roon), Trinnov Amplitude 8 amp & Vivid Audio (Giya G3, V1.5) and REL Stentor III speakers. Others: F80 + Raspberry Pi and other Pi systems. You missed out the most obvious conclusion - there is no actual measurable difference in the sound coming out of the speaker. (Edit): I finally found what I was looking for - ASA Adjudication on The Chord Company Ltd If a cable manufacturer claims their cables 'sound better' then the least they can do is provide objective (independent) evidence. I'm sure they look lovely. That's not the point though. The quesation is do they improve (or even change!) the sound coming out of the speakers? If so, then please provide some proof. (Obviously a 'bad' cable which is out of spec or badly made etc can have a massive effect. But I'm talking about properly made cables which meet approved specifications, which can be bought very cheaply. See MUSINGS: Audio Cables Summary, Non-Utilitarian Functions & Scientific Falsifiability for a discussion and links to objective cable tests & measurements. As for Ethernet cables. Either they meet the applicable standard and work or they don't and won't. Ethernet transmits data, not audio, data centres have thousands of miles of Ethernet cables. Ask yourself if there's a difference between standard Ethernet cables and 'audiophile' ones, then why don't data centres use them? Considering all the millions of miles of cheap ethernet cable used in data centres all over the world, how come the Internet works? In fact I would go as far as to say that if two ethernet cables 'sound' different then one of them is faulty because it's changing the datastream somehow. If the datastream coming out of two ethernet cables is identical then it's identical, there cannot be a difference. If there is then it still doesn't matter as each frame of data sent over Ethernet "ends with a frame check sequence (FCS), which is a 32-bit cyclic redundancy check used to detect any in-transit corruption of data". (see Wikipedia Article on Ethernet Data Frames for details. If an error is found then the data frame is resent. It's a very robust reliable system. No audiophile cables needed. Canford Audio once demonstrated a digital audio signal being transmitted over a piece of wet string. It delivered a "locked, error-free signal" See How wet is a piece of string? for details. It's also been shown that an error free datastream can be sent over a short piece of string acting as an ethernet cable (sorry, can't find the link at the moment. EDIT: Found it, a BBC article Broadband over 'wet string' tested for fun Ok, so it was an ADSL connection not ethernet, but still, it proves a point!). Data transmission over ethernet is a mature technology, has been for years. Do you really believe that Audiophile cable companies know something about Ethernet data transmission that the likes of Cisco doesn't? If the lesser measuring cable can be shown to transmit audio or data perfectly in a given situation, then the better one cannot be better than perfect, only more expensive. I have absolutely no doubt that 'some' mains cables and conditioners can improve the 'quality' of electricity going into a piece of audio equipment. But that does not automatically mean that they will change the sound coming out of the equipment. If they did it would be easy to provide some verifiable and repeatable proof in the way of frequency response, S/N ratio and distortion graphs. For example, in the case of Russ Andrews mains cables proven to reduce EMI, the ASA stated that "the graphs do not prove that the rejection measured in the lab has a perceptible (i.e. audible) effect when the cables are used in a Hi-Fi or Home Cinema System". See ASA Adjudication on Russ Andrews Accessories Ltd for details. Sorry for hijacking your thread Jeremy, but I just had to say this. It really angers me all this cable rubbish that's spouted. There is often a fine line between reality and fantasy, but when it comes to cables there's fantasy in bucketloads just looking for a gullible person to buy into. Of course, if you prefer one cable to another and it increases your enjoyment of listening to music then that's fine by me, just don't let audio manufacturers or salesmen pull the wool over your eyes. Meridian G61R, Behringer A500 amps & DEQ2496 DSP, MiniDSP U-DIO8 audio interface, B&W DM2 Mk2 Speakers (3 pairs), Sony CD, Sony DAT(x3), Alesis Hard Disk Recorder, Sony APR5003 Reel to Reel Recorder. Akai AT93 Tuner & GX-95 MK2 Cassette Deck, Technics SL-1200 Turntable, Valve Phono stage, Denon DL-110 cartridge. Edited by Alikris; 2019-02-17 14:46. I note you have the SOtM sNH-10G, which I also took a punt on before Xmas, and I have to say it made a big difference for me. I am coming to think, as Bob Stuart suggested, everything is important, and that Meridian systems can blossom with upstream tweaks to a network. I believe someone once suggested that two, serial 818s could be better than a sole 818. So...I am going to add more SOtM switches, but what now makes me curious is where it all starts. Has anyone founder a modem/router they think is a step up from what they had before? Draytek has served me well, but these are strange times... could I do better? Unless you get to experience the difference for yourself, you honestly should not dismiss it. Get an in home demo of the Shunyata equipment and see if you can hear a difference. Measurements do not always depict what you actually hear. Just because something has a frequency response of 20 to 20000 Hz doesn't mean is sounds good. Yes, I’m stunned by the difference a Cisco 2960 makes. Don’t know why but a commercial switch can’t afford much noise or the build up in a large group of them would be awkward. Pings really fast. This is easier to explain than power cable though. Bob Stuart may have thought everything matters but power cables - not so much...from what he said. As I understand it power cables can change the sound some but is all change good change? If someone put some science behind it, I would demo properly happily. Let’s not conflate signal cables, analogue domain cables, switches etc with power cables under the everything counts mantra. Quick reminder how much does the Shunyata gear costs? See here, the Cisco 2960 is discontinued. Yes, that’s why it is £60 and not £600! I’m rather hoping that support isn’t needed! Whats the difference to a basic switch for about € 20.- ? I note you have the SOtM sNH-10G, which I also took a punt on before Xmas, and I have to say it made a big difference for me. So...I am going to add more SOtM switches, but what now makes me curious is where it all starts. Someone who listened to the SotM in series with the AQVOX said there was an increase, but not a huge one (about a 10% improvement). As I would have had my AQVOX just lying around, I decided to use that as the switch that precedes the SotM that sits on my desk. I do think the SotM makes a difference, but it's been difficult to measure with the issues with the mains I appear to be suffering with. I'm still planning to get a PS Audio P12 to use with the 818, which I'm hoping will fix that once and for all! It’s a managed switch (commercial) but can be used in auto mode. I can’t currently explain the increase in SQ, I hope to find out in due course. I need to study how switches work... Ping is much much quicker but how that affects SQ, I’m not sure. The new audio products being developed for/as network switches indicate the relevance. Sonore have a good reputation for substance over snake oil. It’s partly isolation partly switch noise and clocking. I presume the Cisco switch does some of this and manages the data to some extent. As promised I'm returning with an update on the mains noise issue, just without the pictures as I'd hoped (so far). For some reason, when I go through the steps the pictures don't actually get uploaded, even though I've been able to select them (probably user error due to lack of time). Well, my P5 (I bought a new, unsold unit) arrived a couple of weeks ago, which has so far eradicated the problem of the sound stage collapsing at times. I also found the P5 gave a good improvement in SQ when powering my 818 (and plugged directly into the mains supply). My wife's comments were that it much 'smoother', although she questioned whether that was always better. She also questioned whether what I paid was a lot of money to get an increase in SQ, but I digress! Plugging the P5 into the Shunyata Triton turned out to be a huge improvement again. Both audibly and demonstrably in the (useful) graphs the P5 has. Interestingly, the Shunyata cut by up to 2/3rd's the difference between the 'correct' mains amplitude and what was actually coming in through the wall. Bear in mind, that's not just eradicating high frequency noise (unfortunately, and completely unsurprisingly, the P5 has no FFT capability), but seemingly fixing a lot of issues across the frequency spectrum. My Typhon is heading back to Shunyata tomorrow to become a Typhon QR and I would imagine the gap will become even smaller then (perhaps to the point the P5 becomes superfluous?). In summary, my immediate problem is fixed by the P5. With the P5 connected directly to the wall, the noise shows up as taking up approx. 7/12's of upper and lower parts (+ve and -ve) of the screen that show the difference between the incoming voltage and what it should be - I need to ask PS Audio what the scale is before I can comment on whether that is a lot, but I would imagine a decent amount. I will report back when the Typhon QR gets back into my hands (unless Brexit leaves it stranded in an airport somewhere :-0). PS For those that are interested, I tried the P5 directly into the wall socket before the Triton as a test, so it powered the DSP's too. All I can say is the P5 was never designed to power the power and number of amps we have in our speakers (that's more P15/P20 territory, I suspect) and the music sounded somewhat foggy. PPS In response to an earlier question about whether the mains noise was coming from inside the house, all I can say is that, when I switched everything off in the house bar the HiFi (everything turned off from the fuse box, only leaving the listening room on), there was zero difference in the graph produced by the P5. The visible noise didn't change one iota. On a very different note, I've also swapped my speaker spikes for the IsoAcoustic GAIA II's. I've since realised I need to send these back as I hadn't taken account of the fact the DSP speakers only have three spikes, so the loading on each support is somewhat higher than if spread over four (and the DSP7200's go way over what the GAIS II's are meant to be doing as a result). While I'm yet to be completely sold on acoustic isolators for other parts of the system (with some exceptions), this was definitely an upgrade worth doing... and I'm overjoyed with the impact these have had. Definitely worth considering, especially if you can return them if you don't like them. The P12 has lower output impedance and higher peak output in the same form factor. Might be worth trying one. Also, the P5 reports THD in and out. I’m usually around 3% in and 0.2 - 0.3% out. PS Audio PowerPlant P5, Innuos ZenMini Mk3 running Roon core/endpoint, G68ADV, DSP5200, Rhythmik F12 Sub. I was nowhere near its capacity, but I still found it blurred the sound compared to the Triton. I suspect the P15/20 in particular would do a much better job. PS For those wondering, I am referring to the PS Audio P5 (apologies I didn't make that clearer in my previous post). I’ve decided, after a few days of listening to the GAIA isolators on my 7200’s, that I understated just how good they are. To my mind, the performance improvement is probably as great as going from an 818v2 to a v3. Definitely worth trying... Just remember the DSP’s only have three feet, so you may have to go up one level on the GAIA scale (in my case from the II’S to I’s, which are on the way). My testing has been on the (currently overloaded) GAIA II’s. I agree, the Isolators do seem to have a very positive impact on the SQ. You have a PM. I thought I’d update on here with my recent experiences with power cords. A few weeks back, I posted with my very positive findings of using a Shunyata UK6 mains distributor. This improved the overall sound in my system in every way... with no downside. I have since spent a couple of weeks investigating the benefits (or not) of upgrading my power cords. I currently have LAT International AC2 mk2... which I bought a number of years back for circa £200 each. These had great reviews at the time and were better sounding than many higher priced cables (£1000+) that I also listened to. I first tried the Nordost Frey 2, I found that these added nothing to what I currently have in my system and in fact reduced the soundstage in height and vocals were also set further back,which reduced the sense of realism. Being as I’d ‘only’ paid a few hundred pounds for the LAT International cables, I was actually quite pleased that there was no improvement with a £1600 cable... never mind 3x £1600. I tried as many combinations as I could with 3x cables: direct from the wall, through the Nordost QB6, through the Shunyata UK6, just to the 818, and just to the 8000’s. This at least confirmed that I could trust my ears and would not be overcome by the power of expectation of spending circa £5000 on power chords... GULP. This also made it obvious that the major gains were from the wall to the main power block/distributor. It also confirmed I had made a good 2nd hand purchase with the UK6. This was far superior to the Nordost QB6. Next I tried the Nordost Tyr 2. As I had borrowed 4x cables, I was able to try all permutations. Unfortunately, these did make quite a big difference and were a definite step up from what I am currently using. DAMN. The vocals returned to sounding more natural and soundstage was much improved in both depth and width. All instruments had an extra sense of realism, as well as vocals. When using 4x of these cables: wall to UK6, UK6 to 818 + UK6 to DSP8000’s, this ‘was’ the best I have ever heard my system sound... £12k worth of difference though... Too rich for me I’m afraid. I don’t think it was £12k worth of difference either... maybe £4K going by 818v2>v3 or 8k>8kSE... somewhere between the two. At this point I was offered to trial a Nordost Heimdall 2 ethernet cable. I moved my MC200 upstairs to try the cable as input or output to MC200 or local thernet switch. I found a very slight difference using it between switch and MC200. So slight I couldn’t detect if it was better or just different. From switch to 818, I heard no difference at all. Maybe I just have a good quality signal to the house, or the ID41 it so efficient there is very little to improve upon? I have no technical understanding as to why these do or should make a difference. This made me focus on power cords as this had highlighted the most potential gains... albeit at a higher price point. I then found a local distributor of Shunyata products and purchased a delta NR for sale or return. If I didn’t like it, I could return it, so nothing ventured nothing gained. This was a major improvement upon my current cables but not quite as all round an improvement as the Nordost Tyr 2. Although the soundstage was wider and the noise floor lowered to a level I’d never heard my 8ks go before, (even with 4x Tyr 2) there wasn’t as much realism with mid to higher frequencies as with the Tyr 2. Vocals were also not as realistic in comparison. If this was the ENTRY level Shunyata cable, what could the mid and top level deliver I thought? I then home trialed the Shunyata Alpha and Sigma for a week. I was limited to 1x of each cable, so only compared these from wall socket to UK6. The step up from Delta to Alpha was a pretty major step up in my system. The noise floor in particular had dropped even further... this showed what the 8000’s are really capable of (I imagine the same for any powered speaker). I would say that 1x Shunyata Alpha, sounded better than 4x Nordost Tyr 2... it’s that good... somewhat of a ‘Bargain’ for the improvement in my system. Considering what the cost of 818v2 to 818v3 card was, this was probably 3x the performance gain for not much more (circa £1750). After hearing what the Alphas can do, I wasn’t expecting that much of a step up with the Sigma to be honest. The usual law of diminishing returns. I was wrong, the noise floor dropped yet again. There was so much more Bass control, I was now hearing tightly controlled low notes on tracks I know very well, that up until now I though was just a single long bass note. The other main gain in performance is very difficult to quantify, as it’s the parts in the music that you don’t hear, is where the real differences are.Some would call it blacker blacks for example. To me there was more space between notes and on the Eagles track, ‘No more walks in the wood’ for example, there was not just a little more space between all the vocalists but a greater clarity in separation and the voice to the far right, that is slightly deeper than the rest, was more pronounced and could be focused on with greater clarity and separation. It took 4x of the Nordost Tyr 2 to be this revealing with detail. They had nowhere near as low a noise floor. Soundstage is slightly wider, deeper, higher and lower... but only on tracks that were recorded that way. Every musical instrument and vocal just sounded even more realistic, live recordings sounded... ’live’... a new level of live had been discovered compared to my previous benchmark. For anyone thinking of trying out some power cords, I suggest you try these last... so you can find out for yourselves how much better they are than a lot of more expensive cables. Anyone thinking of upgrading a component or speakers, should maybe consider upgrading their power cords instead. I have been truly blown away by the gains my already fairly high-end system has made. My 1st step has been to order 2x Alpha NR. Overall these deliver very similar performance to 1x Sigma in except for regarding the very low noise floor. I just couldn’t bring myself to spending that amount on a single cable.....just yet. Nothing I have heard has matched the 1x Sigma in this regard. My next step... when funds allow (quite some time away)... will be 1x more Alpha, so 818 and 8ks will all have Alphas and 1x Sigma from wall to UK6. For those that question if power cables even make a difference due to science not being able to prove any performance gains or it’s maybe just expectation. I was very happy with my system and definitely did not want to spend this sort of money on any upgrade... especially not on cables. I suggest you take an open minded (and cleaned eared) listen to a Shunyata product... especially the Alpha NR. The Shunyata power cables only get you part way there. When paired with a Denali or Triton, you will be blown away. I had a similar experience - I was lent a Sigma, an Alpha and a Delta and ended up buying one Alpha to the Triton and three Delta's to keep costs sensible. The two Delta's powering the 7200SE's were upgraded within a few weeks! I'm now trying to decide between an Alpha for the 818 and a Sigma for the Triton. I thought I should add that, for people thinking of using the GAIA's, there is a certain amount of height added to the height of the speaker (in the case of the GAIA I's, this is about 27mm), which means the rear supports are lifted off the ground. As a short-term option you probably want to think about adding something (in an emergency, perhaps some wooden coasters) under the rear supports, as you may find the speakers somewhat unstable otherwise and could be knocked over. I can't wait to hear what they sound like compared to the GAIA II's, but I have to wait for my 818 to get back to me (Meridian were repairing the USB port last week). Apparently, it was ready to ship back to me on Thursday, so I'm hoping it will be with me tomorrow. I'd agree with this, the difference the Triton v2 or v3 makes compared to the cables alone is pretty stunning. I'd be inclined to keep an eye out for one on the second hand market and then upgrade it when funds allow. The upgrade cost isn't huge (compared to the cost new). Agreed, first step if I would start from scratch with a Shunyata/Meridian setup. Triton v2/v3 with a Sigma to wall. If running 2ch a Denali with an Alpha to wall would be a sizable but very noticable improvment as well but half the price probably. Also if you run the Triton V2/V3 the ground cables do work well with Meridian equipment and DSP speakers. I ended up connecting sources/preamps and front speakers with chassi ground cables to the tritons. Where did you connect the earthing points to on the DSP's? The chassi screws on the PSU are a good start. I used the banana->small spade chassi ground connectors. Just loosen just a nudge so you can press in a small spade then secure it firmly. The ebb and flow of the music is improved. Faster but more smooth. Less sibiliance. Star chassi grounding is nothing new btw. But this was easy enough and the tritons have their technology to quiet the ground as well. Denali do not as it is only live/neutral dampened by the NIC’s but still star chassi grounding. Thanks, I'll give this a go. I had tried grounding the 818, but this didn't seem to work so well in my scenario. My Shunyata Typhon QR power conditioner (which is designed to sit alongside the Triton) arrived yesterday and the good news is that it is very, very good. Instruments now sound hugely more lifelike and I think the imaging has improved further (after a few hours of running in). The bad news, however, is also that it is very, very good and, as a result, can do devastating damage to your wallet. Unless you do what I did and buy a second-hand unit and get it upgraded, which makes it less painful. And you effectively get a brand new unit. +1. Triton v3 and Typhon QR are my next items. I had already upgraded from Alpha to Sigma power cables earlier this year. Need to move the Denali on. I believe the Denali is an exciting place for most people to be at, the Triton/Typhon combination seems to be an even better destination to aim for, if you can. A quick update, as I posted my first comments on the Typhon QR shortly after receiving it. I've now had the Typhon QR running for a few days now and I have to say it is absolutely stunning. This is a complete revelation with instruments sounding like someone is playing the actual instrument in the same room room as you (so real, it actually feels slightly bizarre at first). I think I mentioned the soundstage has also improved, it's very easy to tell where each instrument is in a very natural, unforced way. Highly recommended (given the Denali uses much the same technology albeit in a slightly cut down way, I suspect the Denali would be very beneficial too). The next part of my journey is to sort out the room acoustics between 25 and 400Hz (interestingly, while Meridian claim 35Hz-30,000Hz within 3dB, REW is showing that in reality the response in my room goes down to 25Hz within 3dB, but this could be related to a resonance at 50Hz and a void at around 60Hz). PS While many other changes to my system have contributed to the overall improvements in SQ, I think this has made me realise that getting the power conditioning right is far more important than I realised even part-way through this journey. Thanks for sharing, looking forward to your "journey with room treatment". Generated in 0.070 seconds in which 0.005 seconds were spent on a total of 15 queries. Zlib compression disabled.